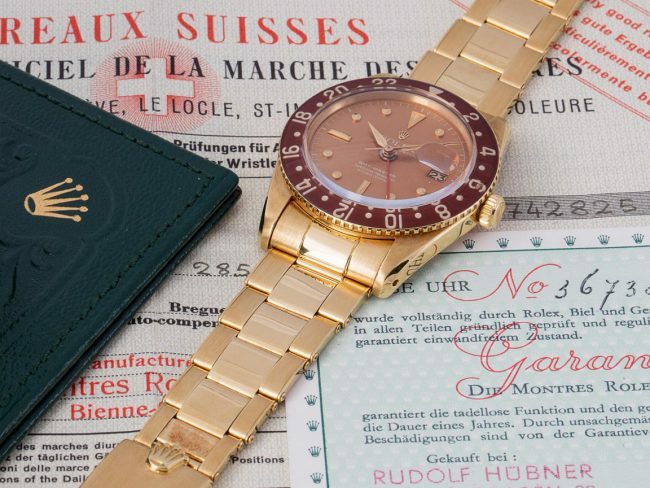 Why the most expensive Rolex is so expensive? Looking at an expensive watch on my wrist makes me feel important. 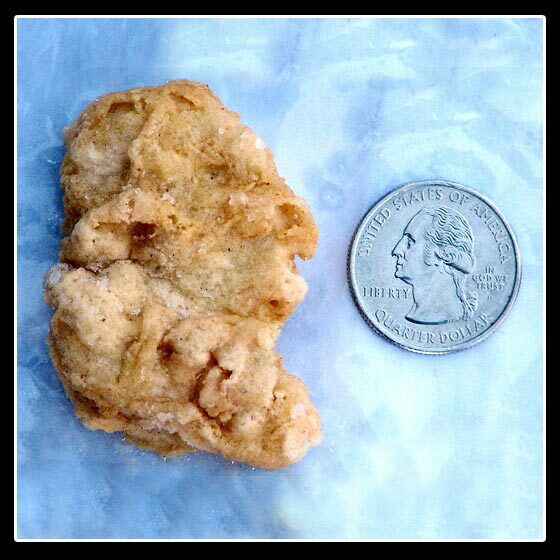 We as a species are no strangers to extravagant things. Our love of owning products fashioned out of rare and expensive materials is very well known. But even that does not hold a candle to things which were owned by famous/notorious people. Humans like stories. Hence, no one should be surprised to know that the most expensive Rolexes are often the ones associated with some celebrity. Just how expensive are we talking about? Try millions of dollars. 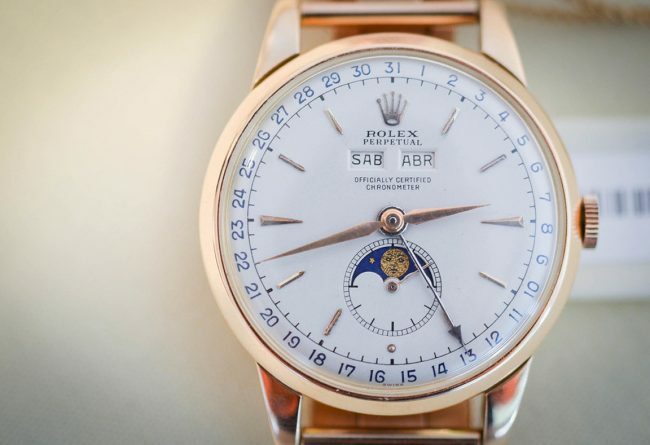 The ten most expensive Rolexes are all valued at a minimum of a million dollars. What’s even more surprising is that three of these watches belonged to the same individual. The most expensive Rolex list begins with Paul Newman’s 1969 Rolex Daytona at the tenth place. Initially, Rolex Daytona wasn’t preferred by the public. Till the 1980s they were simply rotting on shelves. Then, Paul Newman arrived as a messiah for this watch. He started wearing these and popularized them. 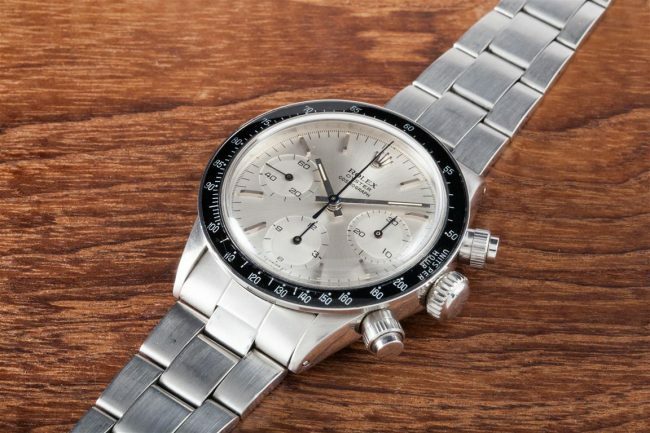 So much so that the elegant white dial is now known as the Paul Newman dial. It has push-down chronograph buttons, acrylic bezel, and sub registers that are black. 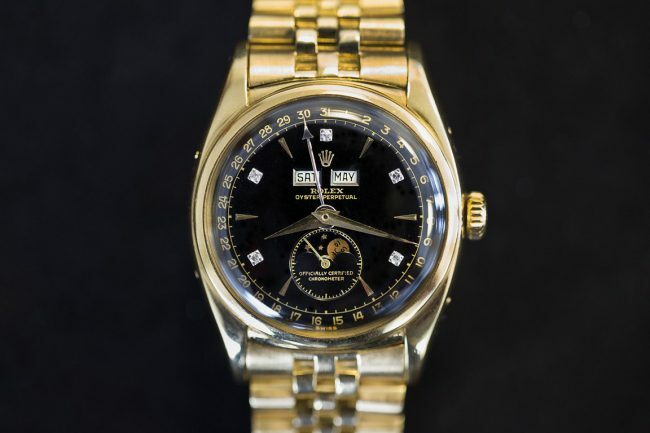 This watch fetched $1.1 million at an auction. I can see all the sweat that went in this. 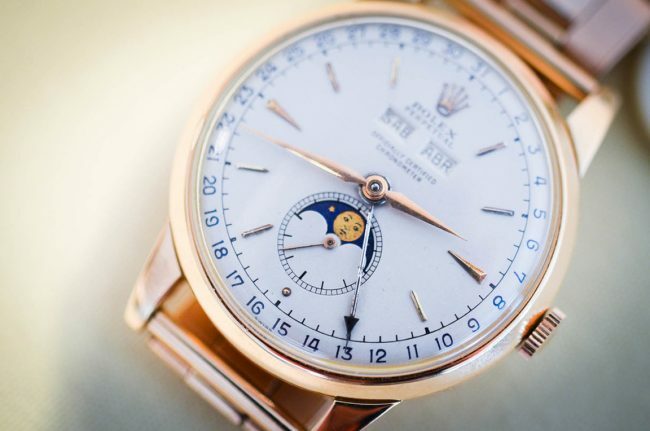 The ninth place on the most expensive Rolex belongs to the 1950 Rolex Sleeping Beauty. 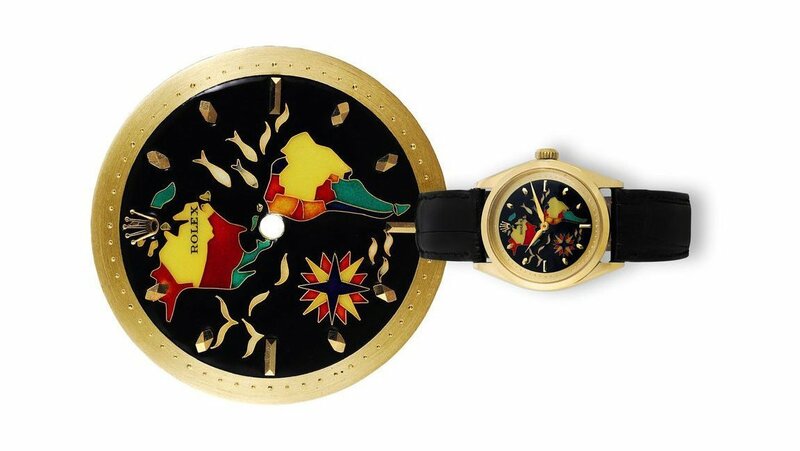 This timepiece fetched $1.14 million at an auction. It comes with a triple date and moon phase display. Italians used to call it the Big Frying Pan due to its complicated features. 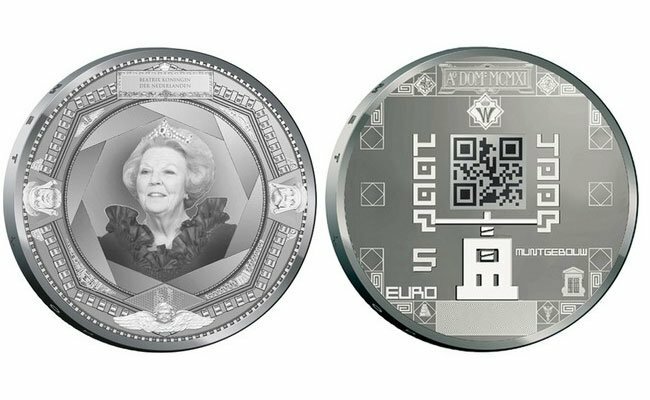 Only a hundred of these were ever made and today they are quite rare. It was named the sleeping beauty due to fetching four times its estimated worth due to a surprise bid. Now we just need a handsome prince to come kiss it. 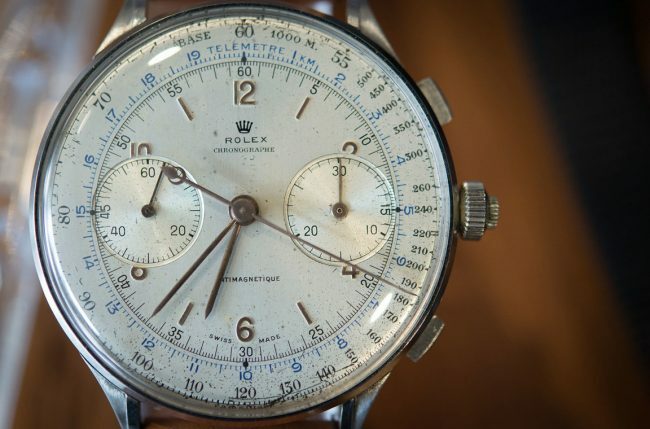 The eighth most expensive Rolex in the world is the 1942 Rolex Chronograph. This watch features a complicated mechanism as well. It has a blue telemeter, a split second chronograph mechanism, outer minute markings and many other cool features. 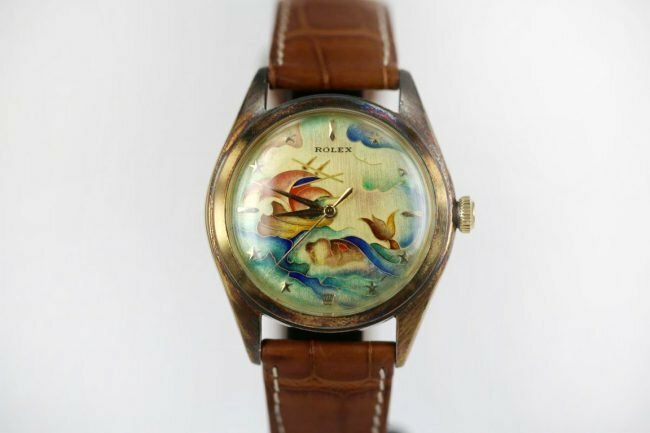 Rolex only made twelve of these. It comes with a nickel finish while the dial has a matte silver finish. Pink gold Arabic and baton numerals look fabulous alongside seventeen jewels. 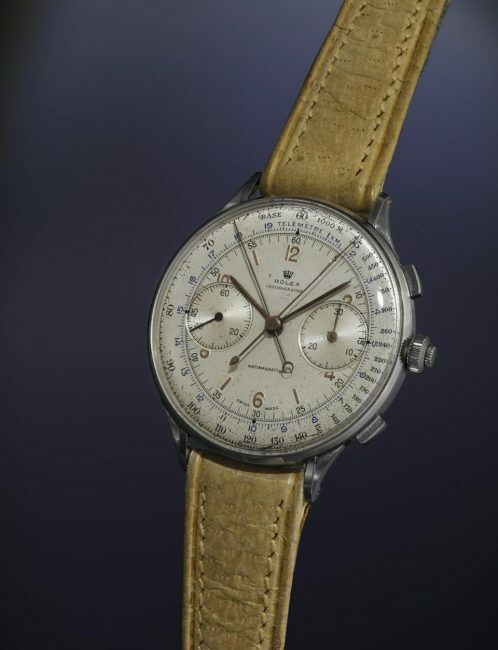 All these things helped this watch snag $1.16 million at an auction. Doesn’t look like a million dollar watch to me. The 1949 Rolex Oyster Perpetual. It has a nice vibe. The seventh most expensive Rolex is 1949 Rolex Oyster Perpetual. The oldest surviving model was sold for $1.22 million at a Christie’s special auction. The sixth most expensive Rolex was owned by Eric Clapton. 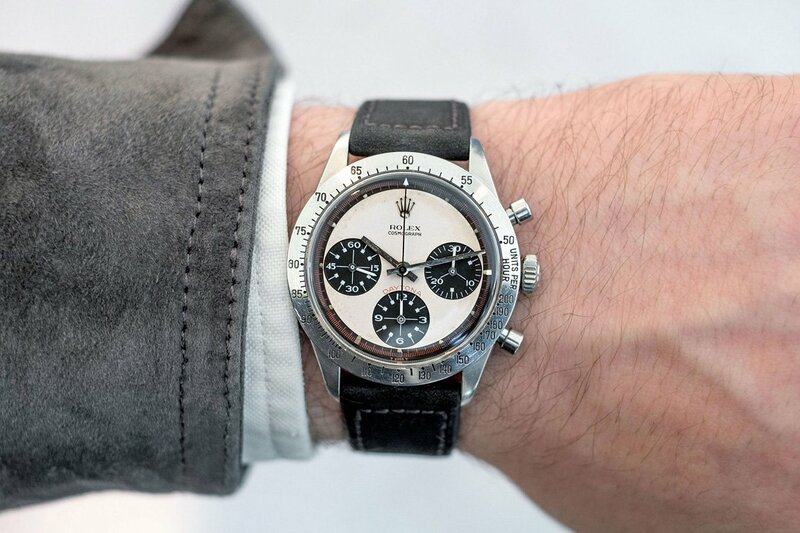 This 1971 Rolex Daytona fetched $1.184 million at a Phillips auction in 2015. Eric had good taste in watches. 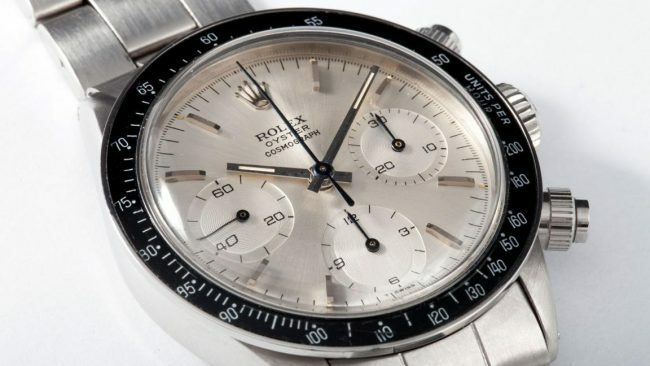 Paul Newman strikes again in this list featuring the most expensive Rolexes ever. 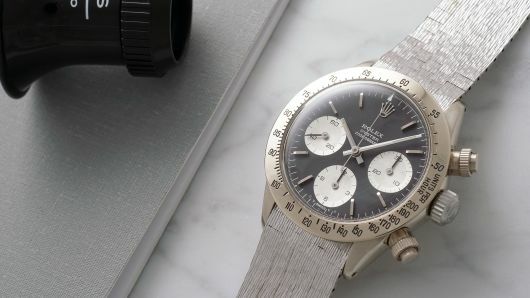 At number five, this Rolex Daytona Oyster Sotto fetched $1.95 million at another Phillips auction in 2016. The fourth most expensive Rolex in the world. My wealth also splits by the second . 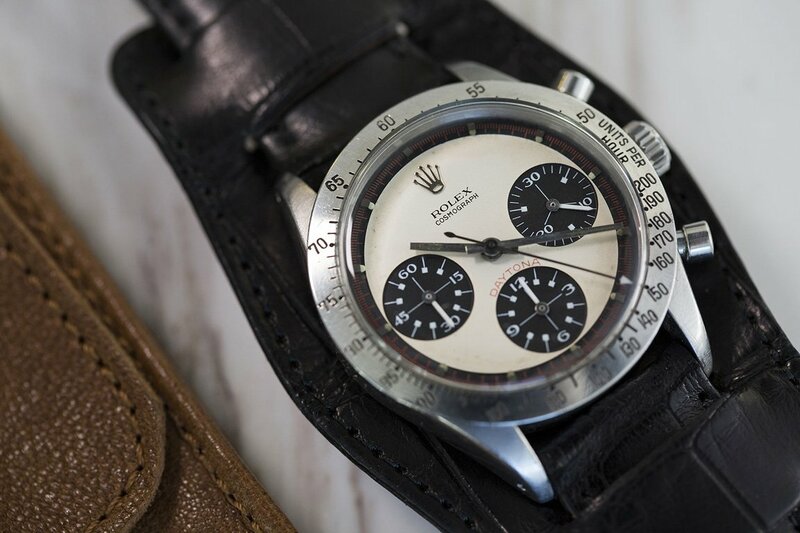 Number four is occupied by the Rolex Split Seconds Chronograph 4113 at $2.45 million. 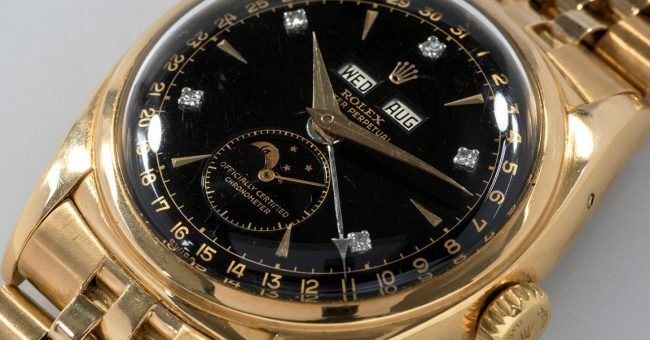 Number three sees the 1958 Rolex GMT Master going for a staggering $3.5 million. Why was it so expensive you ask? 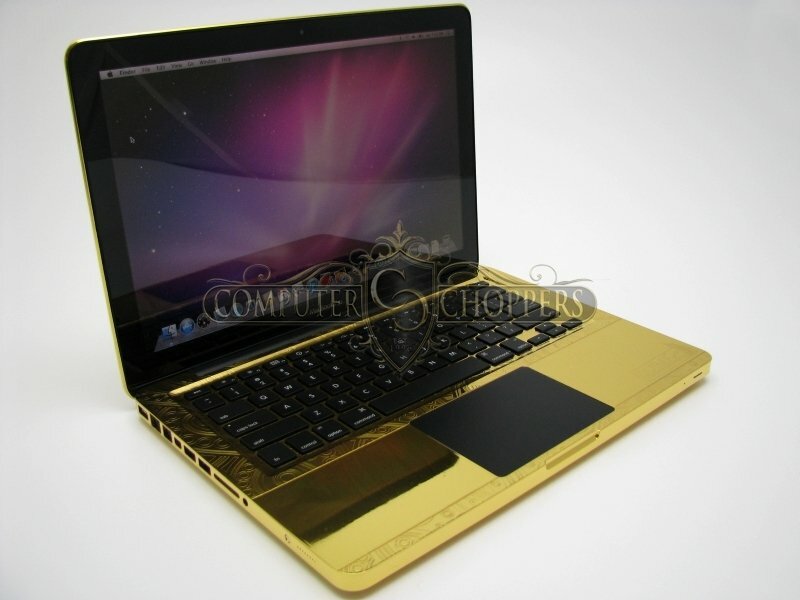 Well, for starters it was made out of 18K gold. 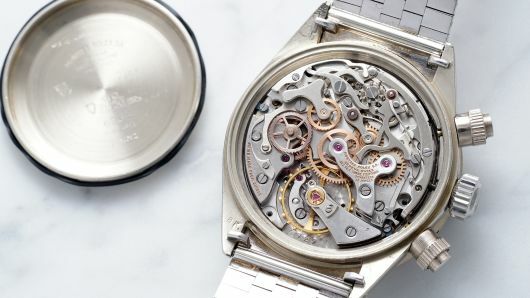 Usual GMTs were made from stainless steel making this watch a rarity. As we all know, in this world the rarer something is the more expensive it ends up being. The moon-phase indicator make it perfect for the werewolf in your life. 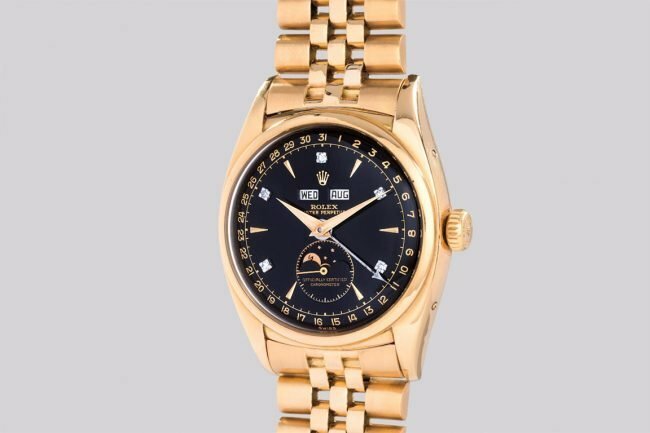 The Rolex Bao Dai, owned by the last monarch of Vietnam, Bao Dai, was made out of 18K gold. It featured a triple calendar and moon phase indicator. 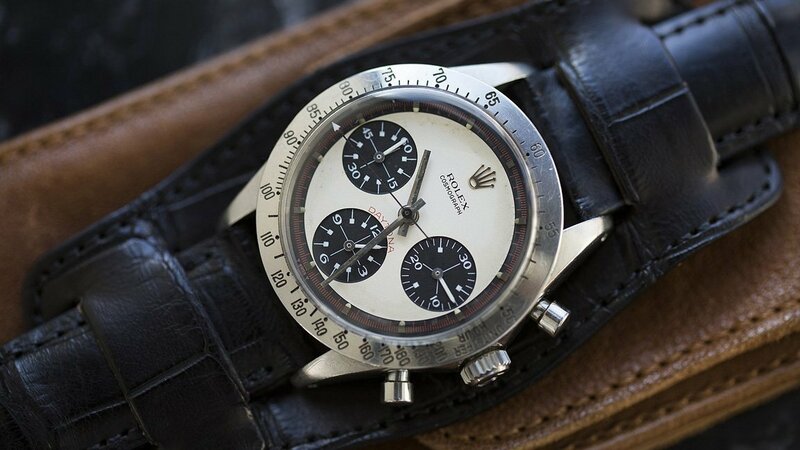 It went up for $5.1 million but was recently eclipsed by the 1971 Rolex Daytona Reference 6265 “Unicorn”. The Unicorn went up for $5.9 million as it was the only version of this watch featuring a body made out of 18K white gold. Both of these watches collectively hold the title of the second most expensive Rolex in the world. The Rolex Daytona Reference 6265. 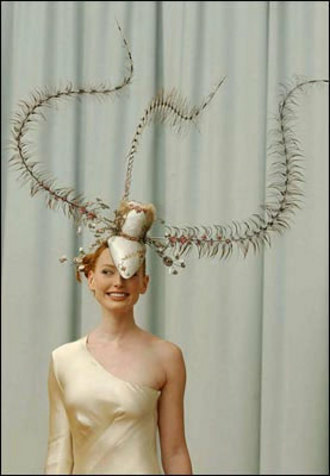 As majestic as the Unicorn! 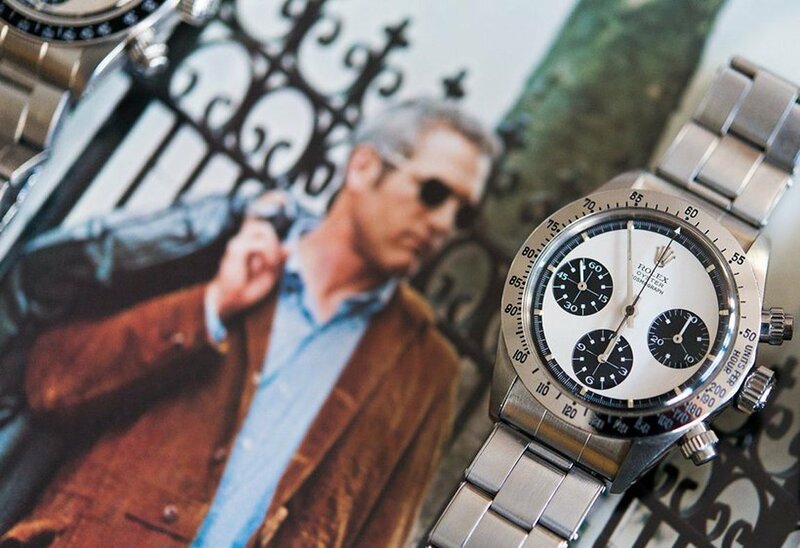 Unsurprisingly, Paul Newman races ahead of everyone with his Rolex Cosmograph Daytona. 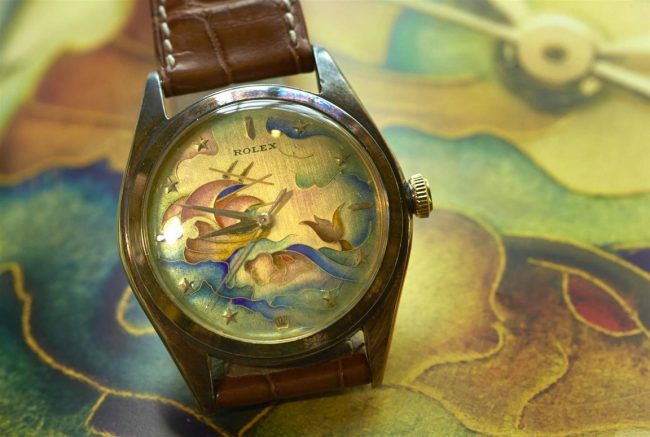 This is one of the rarest and most sought after watches in the world. 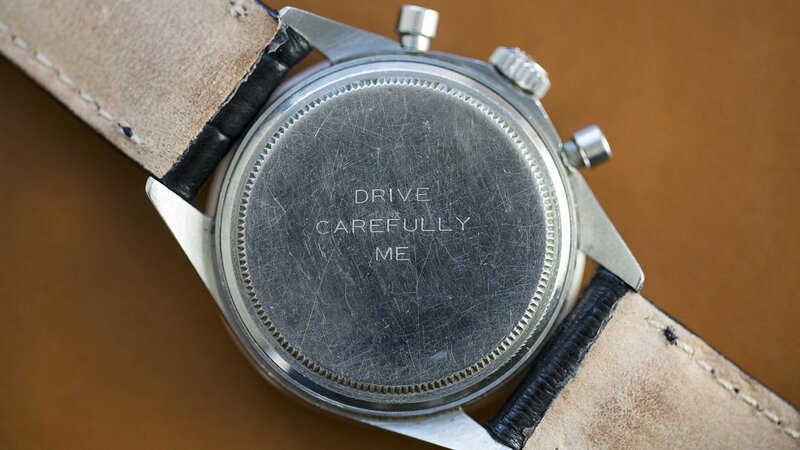 This watch has been given the name of Paul Newman watch as Paul wore it every single day for a significant part of his life. This iconic Daytona fetched $17.8 million at a Phillips auction in 2017. Why does it look moist? Never would have gotten fines if my watch reminded me like this. This list must have made you realize that if an object has a compelling story behind it, humans will always give it more value. The materials that were used to forge the damn thing simply do not matter.